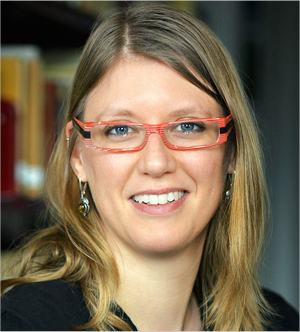 After her studies in Romance Languages, Eastern European studies, journalism and linguistics in Hamburg and Lyon, Florence Oloff obtained her PhD in general linguistics in 2009 at the Ecole Normale Supérieure Lettres et Sciences Humaines in Lyon and the University of Mannheim. During and after her PhD, she has been a scientific assistant in various research projects in Lyon and Basel. Supported by the Swiss National Science Foundation, she has carried out her own research project on collaborative speaking in Czech, French, and German at the University of Zurich (2014-2016). Specialized in conversation analysis, interactional linguistics and video analysis she is interested in language use and social interaction in various languages and settings. Among other things, she has investigated the intertwinement of linguistic and non-verbal means, multilingualism at work, and the use of objects in interaction. In addition to her research activities she has had several teaching assignments at the University Lyon 2 and the University of Basel.